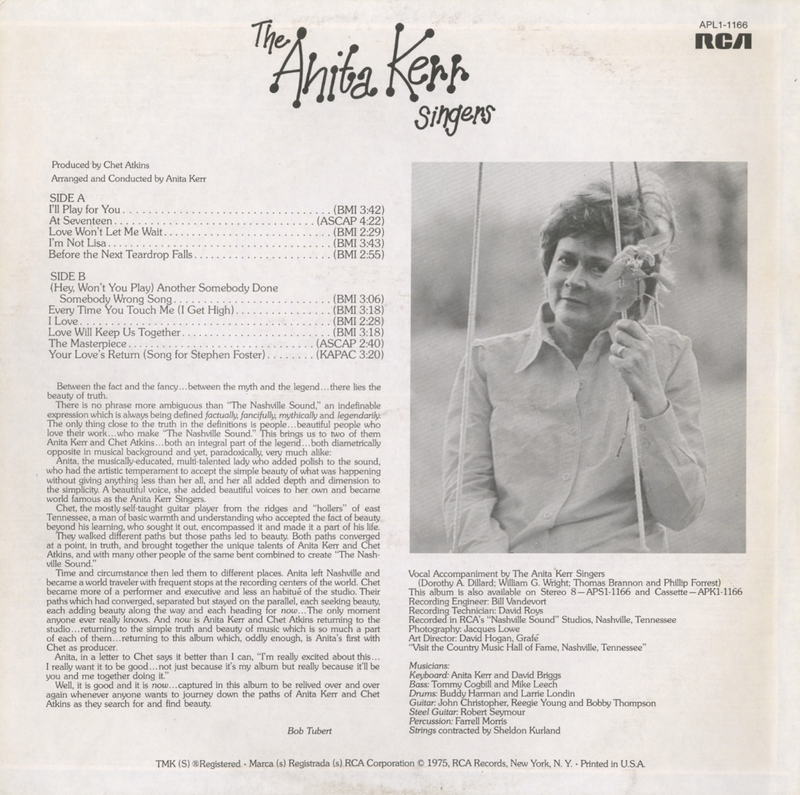 From Billboard - September 13, 1975: The first album for this lady in a long time but it was worth waiting for. 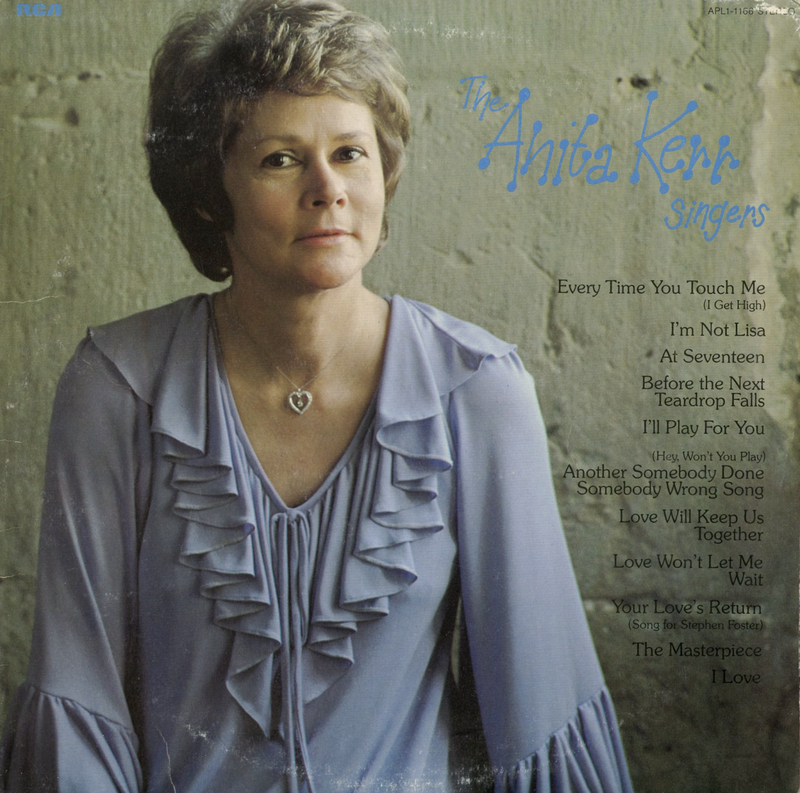 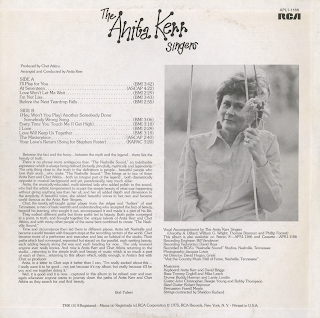 One of the originators of the "Nashville Sound,: Ms. Kerr has become a legend in music circles. 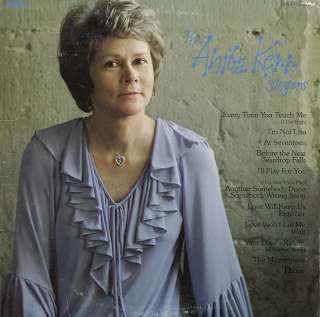 Here she joins another legend, Chet Atkins, and together they have chosen some of the most beautiful songs of today, given them the purity and beauty of this group's sound of yesterday.